Pearl Castle 1128-3779 Sexsmith Road in Richmond for a Chinesebites event. Taiwanese food and bubble tea. The presentation of this drink is beautiful. The cotton candy was large and fluffy and made for a great Instagram photo. The drink is quite sweet and syrupy. The first few sips were good, but I got sick of the taste before the end. 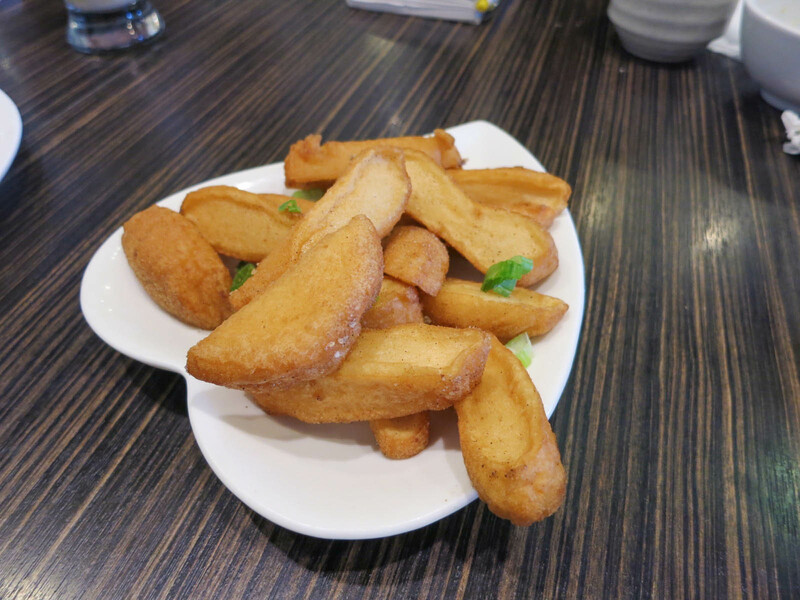 I liked that this dish was something different from the normal deep fried tofu or chicken that you see at Taiwanese restaurants. The breading was light and crispy and had similar spices that you would find in Taiwanese chicken nuggets. The sausage was good and it was the perfect appetizer or snack. It had a slightly sweet flavour to it that was magnified by the dipping sauce. The inside of the sausage was quite fatty and it had a crispy thin skin on the outside. The tofu was good, but nothing too special, so if you wanted something deep fried I would try the mushrooms for something different from most places. 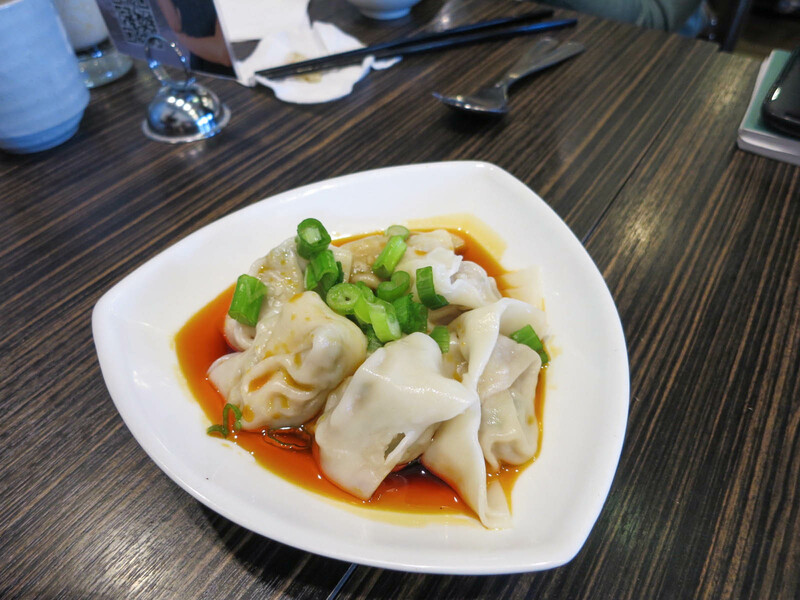 I wasn’t crazy about these wontons. I found the wrapper to be too thick and there was too much of it in proportion to the filling. The chicken was very juicy and tender and the portion of it was large. The sauce had a slighty sweet taste and reminded me of a chili sauce. This would be a good filling meal. I also had another variation of this dish with a pork chop instead of chicken. It was also good and had the same sauce. I didn’t know what to expect from the milk hot pot, but I was surprised and impressed with how good the broth was. It was creamy, but not too overwhelming or heavy. I mostly just sampled the broth, but it was also filled with shrimp, pork, and a bunch of vegetables. The curry coconut hot pot was also as delicious as the milk one. This broth was rich, aromatic, and had a hint of coconut flavour. I always love udon noodles, so I enjoyed having some noodles. 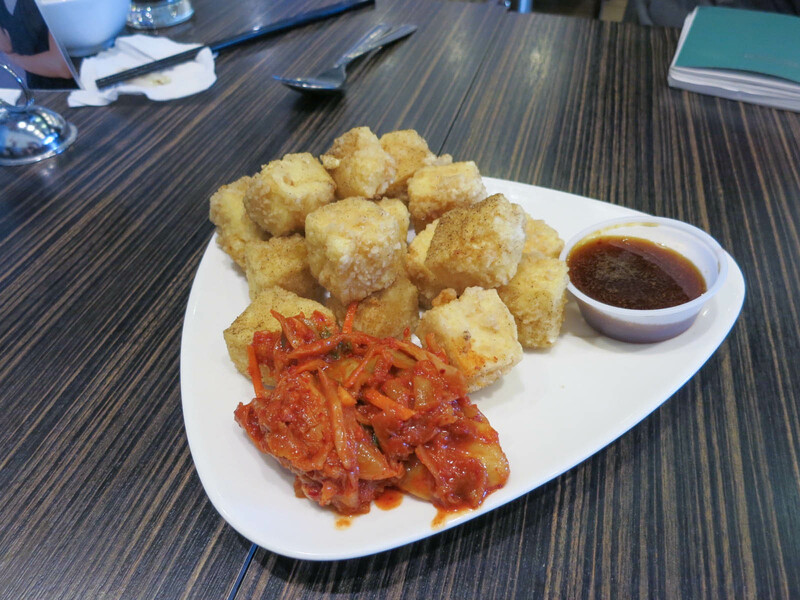 It was filled with big chunks of kimchi and prawns and was slightly spicy. I liked the beef noodles here because of the delicious broth and thick, chewy, noodles. 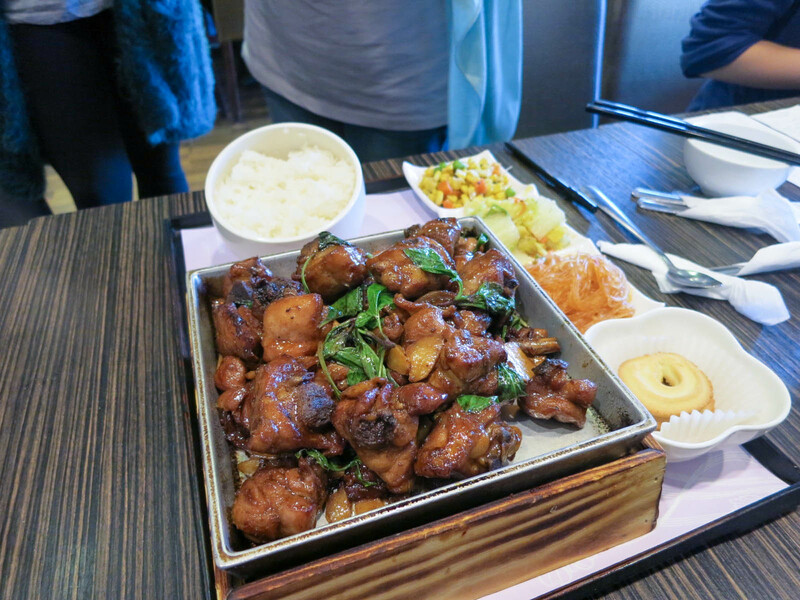 The three cup chicken had a tangy soy flavour and punches of flavour from the thai basil. The pieces of chicken thighs were juicy and the portion was large. Pearl Castle has some fun bubble tea drinks and an expansive menu with a lot of good options on it.